Sneaky Creatures will emerge to play the Truckee Thursdays after-party at 8:30 p.m. Thursday, July 19, at Alibi Ale Works – Truckee Public House. Free show. 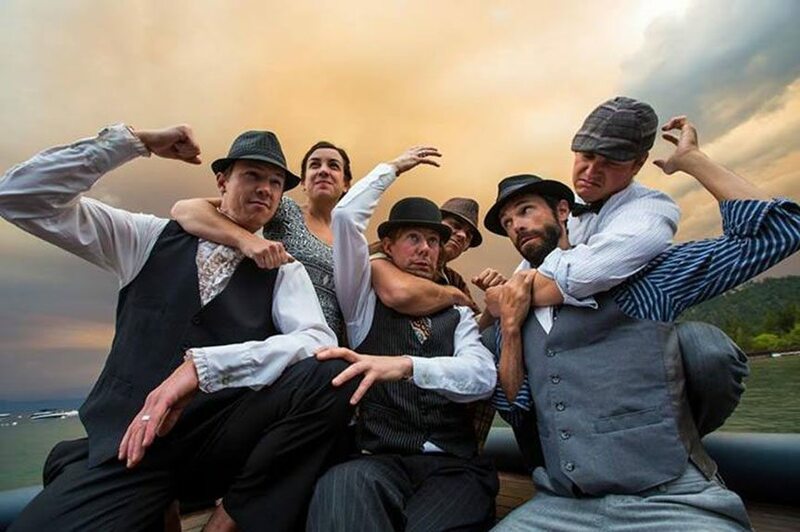 Sneaky Creatures is a mischievous alt-gypsy swing septet from Kings Beach, CA, and they have been creeping into the North Lake Tahoe music scene with their unusual blend of rock, jazz, and dixieland funk. Featuring Josh Roelle (Horsemouth, Truckee Tribe) on guitar, Kerry Andras (The Rusty Strings) on stand-up bass, Kevin Drake (Downbeat) on saxophones, Steve Saturno (Quartet Minus One) on drums, Lena Meyer on trumpet and trombone, Jesse Steele on trumpet, and Todd Holway (Mama’s Cookin’) on keyboards, this lineup comes together to create a sound that is at once unique and original, and also strangely familiar.